Deanna Reed-Foster/Photo: Jonathan L. Green. Sideshow Theatre’s world premiere of “HeLa” is so perfectly imperfect, simple and complex, insignificant and vast, I feel like I could watch it on a loop to relive every drop of fascination, grief, shame, worry and want over and over. Author J. Nicole Brooks crafts shifting characters and relationships that resonate no matter where they land, and director Jonathan L. Green has an excellent radar for things like institutional bigotry and bodily distress that will make you uncomfortable enough to squirm. To make the ultimate PBS-flavored space opera, there’s little more you need than a shy kid with a wild imagination and a tiny, portable TV. Nicole Michelle Haskins and Ayah Sol Masai Hall/Photo: Jonathan L. Green. “HeLa” sheds bits of story like a comet shedding meteorites onto the surface of Earth. 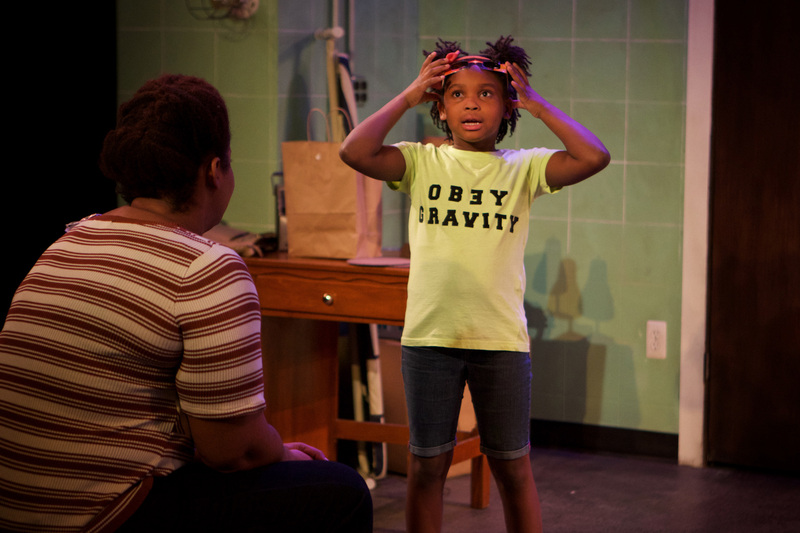 Exact dates and times get lost, but we follow three women tracing from sterile hospitals in 1951, to a cozy basement in the early ‘80s, to a child’s imagined future in the cold depths of space. A Little Girl (Ayah Sol Masai Hall) is left in Bird’s (Nicole Michelle Haskins) care, after an invasive illness that has wreaked havoc on the women in their family continues its destructive streak. Henrietta Lacks and her infamous tumor cells, still multiplying and used without consent today are what bring the stories together. The same cancerous HeLa cells that immortalized Lacks and took her life are simultaneously destroying a family, inspiring a girl to go into STEM research, and becoming sentient as Jata (Deanna Reed-Foster) in the cold depths of space. The support of family (David Lawrence Hamilton and Carolyn Nelson) can’t curb it, and decades of doctors (Ann James and Matt Fletcher) are content to just watch and help it wreak havoc. “HeLa” highlights the world of scientific curiosity and obsession, built on the backs of disenfranchised women of color, and how the Little Girl we follow fuses the two worlds together in hopes of mending decades of misdeeds. 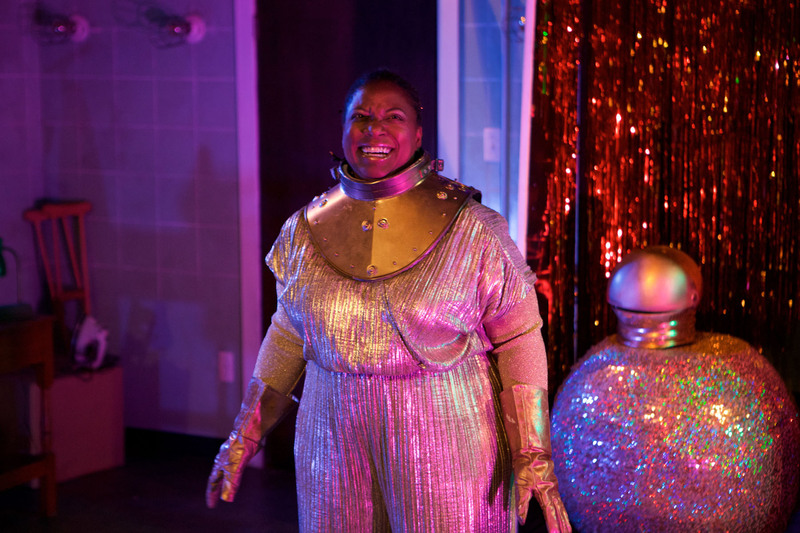 The production does this while also being uproariously funny, and deeply devastating, or sometimes just ordinary, like skipping school to go to the planetarium. 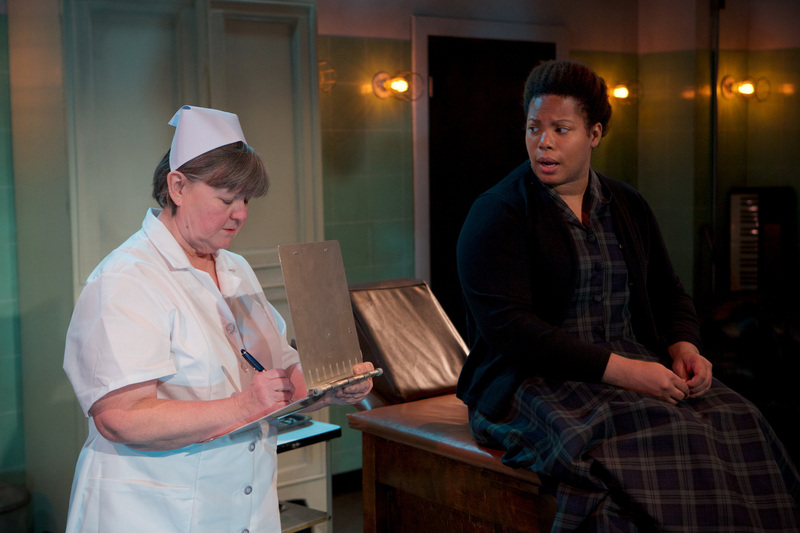 Ann James and Nicole Michelle Haskins/Photo: Jonathan L. Green. The bastions of largely white institutions, Ann James and Matt Fletcher, are ominous and unfeeling as a collection of nurses and doctors, whose bedside manner is so unwittingly cruel you understand what would drive Black women to never return. Meanwhile, Ayah Sol Masai Hall is a fidgeting, arm-swinging sponge of the world’s knowledge as Little Girl. She is the keeper of so many interstellar factoids, her uncle and aunt call her Dr. Youngblood. 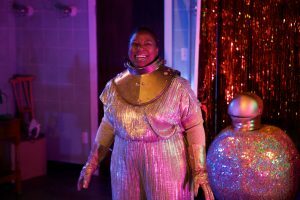 At its heart, the show is an amazing showcase for two truly gifted performers; there’s Deanna Reed-Foster as Jata, an imaginary spacewoman, or maybe the thoughts of sentient multiplying HeLa cells blasted to space. She is all at once alone and homesick, but even with prospect of an interstellar companion, Jata prefers her own company and her own, rich never-ending stories. There’s also Nicole Michelle Haskins, brilliant and blistering as Auntie Bird, a grown up Little Girl and Henrietta Lacks herself. Her vulnerability and vitality in every facet really hammers home how little of their lives these women were allotted. We see the richness of her life, as doctors litter her medical chart with character judgments and decide she is not worthy of the breath it would take to explain her conditions or treatments. And they wonder why on earth she’d miss so many of her follow up appointments. Jonathan L. Green has crafted a truly wonderful stage experience, and honors J. Nicole Brooks’ complex narrative, making a cohesive story from source material that is beautiful in its messiness. It’s lasting, effective, and one-of-a-kind. TEN WORD SUMMARY: What happens when Black Girl Magic meets Black Girl Science.